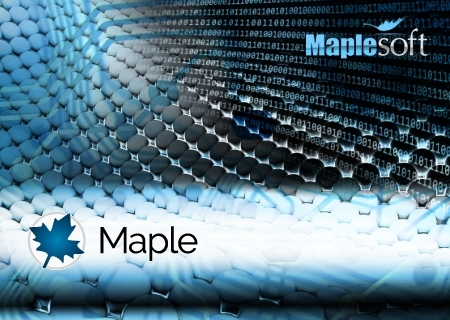 Maplesoft has released update of its flagship product, Maple 2015, the mathematical computing software for education, research, and development involving mathematics, engineering, and the sciences. With Maple 2015, Maplesoft offers important new abilities to both educators and researchers in the areas of data analysis, application development, statistics education, and more. Maple 2015 includes a powerful new infrastructure for accessing, working with, and visualizing millions of data sets. Maple customers can freely access time series data sets from finance, economics, and demographics, such as current data on stocks and commodities, foreign exchange rates, macroeconomic data on labor market indicators, population statistics, and much more. All data, whether it is built into Maple or available through a connection with Quandl, an online provider of curated data from hundreds of sources, can be seamlessly searched, downloaded, and used inside Maple. Customers can use the powerful computation and data visualization tools in Maple 2015 to investigate trends, analyze, filter, and visualize results using a wide variety of techniques, and build applications based on the data.